The late Paleoproterozoic to early Neoproterozoic tectonic history of the South China Block is poorly understood. In central Yunnan Province a north-south trending basement high known locally as the Kangdian axis exposes Late Paleoproterozoic metamorphic and Late Mesoproterozoic sedimentary rocks. Although this area is well known for its mineral resources, few regional geological studies have been attempted and no plausible tectonic framework currently exists. In this study geochronology has been combined with geochemistry and regional mapping of the Paleoproterozoic and the Late Mesoproterozoic rocks. This has allowed correlations between equivalent tectonostratigraphic units across the South China Block and the development of a better tectonic framework. Previous work in this area has failed to provide a regionally consistent tectonic model for the pre-Neoproterozoic rocks in South China. New data is refining the role these rocks played in the formation of the South China Block during the Sibao Orogeny. The complex tectonic history of this region has made it highly prospective for world-class mineral occurrences. 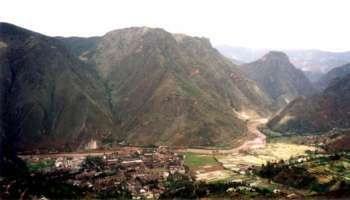 Significant stratiform iron oxide- copper-gold mineralisation has been found in the Paleoproterozoic (Dahongshan) and Mesoproterozoic rocks (Yimen and Dongchuan mines).